Your computer consists of both hardware and software and a number of things can go wrong. 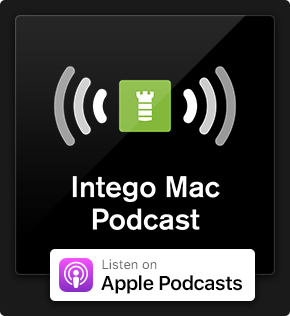 In this 2-part series, we'll take a look at how to check your Mac's hardware and software to verify your system is in good shape or if certain components are failing. 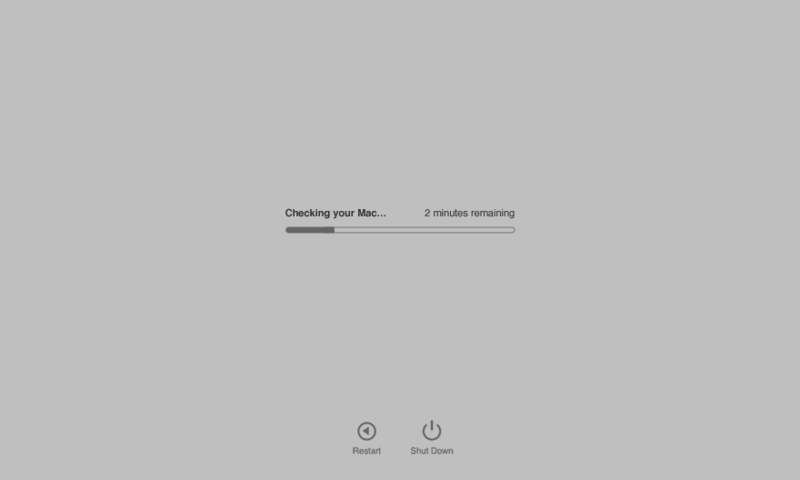 In part 1 below, you'll learn how to check and verify your Mac's hardware is working properly. See part 2 to learn about all the ways you can test your Mac's software to verify it's running smoothly. I get asked all the time how to solve issues on a Mac, but rarely do I get asked how to simply verify a Mac's hardware is in good shape even when it's not experiencing issues. Not many people check their systems when everything is working properly, it's usually when an issue arises folks start troubleshooting—and by then it could be too late. Think your Mac's hard drive is failing? Want to determine which hardware component is failing? In this article, I'll list some of the ways you can check your Mac to make sure everything is working the way it should. After all, just because everything seems to be running smoothly right now does not necessarily mean everything is actually OK. NOTE: Checking a system in most cases requires it to be put through the wringer. This can stress out and break components that may already be failing. Make sure you have one or more backups of all your data and proceed at your own risk! There's quite a lot to cover here, so if you'd rather skip to the hardware you want to test, click on the appropriate section below. There is so much going on inside your Mac. Dozens of sensors and components that get really hot, moving parts (not so much on newer Macs), and so much more—things the macOS does not tell you about or let you control, and all of it makes up the "It just works" experience. When dealing with hardware woes, it can be a daunting task to determine which hardware component is failing. Let's begin the health checkup with a hardware diagnostic test. 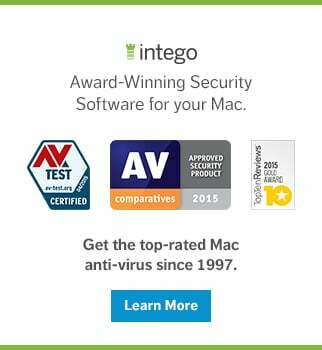 This is available for any Mac from June 2013 and newer. To launch Apple Diagnostics, begin with your Mac turned off, and simply start up your Mac and hold down the D key right after pressing the power button. Keep holding the key until you get the option to select a language. With the arrow keys on your keyboard, navigate to the language you want and hit the return key. It's possible that you will first get asked to join a Wi-Fi network if the diagnostic image can't be pulled from the machine itself, but it should join known networks automatically. Of course, it will skip this step if an ethernet cable is connected. Once a language is selected, Apple Diagnostics will get to work. Testing will take 2 or 3 minutes and will present you with a "No issues found" message or a list of issues and reference codes. Have you found issues with reference codes? Those can be looked up here. Note that occasionally a reference code is not listed on Apple's support website or the suggested fix for a particular problem is to simply "Contact Apple." Either way, you'll know if your system is more or less OK or if it needs service by the time this test completes. On Macs that were built before June 2013, booting up while holding the D key will start the Apple Diagnostics predecessor, called Apple Hardware Test (AHT). Similar to newer Mac models, AHT will also present to you a language selection window, but once a language is selected the test environment will load and not automatically run. To start the test, you must click the "Test" button, but before you do there is an option to select "Perform extended testing." The extended test will take considerably longer, but it does a much better job testing every block of your RAM than the simple test (or even the newer Apple Diagnostics, for what it's worth). If AHT tells you everything is OK after an extended test, you can be sure your RAM is in tip-top shape. Most Macs that run Mac OS X 10.7 Lion will run AHT, but for Macs that are even older you may need the original install DVD's that came with your computer. This includes any pre-Intel Mac and most Intel Macs until 2007. MRI: A quick test that is run at the Genius Bar. It checks if all the important components are detected and if the sensor readouts are within specified ranges. It's basically what the Apple Diagnostics does for you at home, but with a graphical representation of the results. Apple System Diagnostics (ASD): The Mac daddy of Apple's test suites, this will test your Mac in every way Apple can. Unfortunately, this test will require you to leave your Mac at the Apple Store, so they can run the test overnight as it can take anywhere from 1 to 4 hours to complete. If a full hard drive scan is included, add several hours to the test based on the size of the hard drive. If your Mac is no longer supported (here's a list of machines that Apple won't touch under almost any circumstance) or you can't get to an Apple Store, there are more things you can do at home to check for hardware issues. There are still plenty of hard drives out there, and as we all know, sooner or later those drives will fail. If you use hard drives, they may already be failing without you even noticing, so it's best to check up on these spinners once in a while. 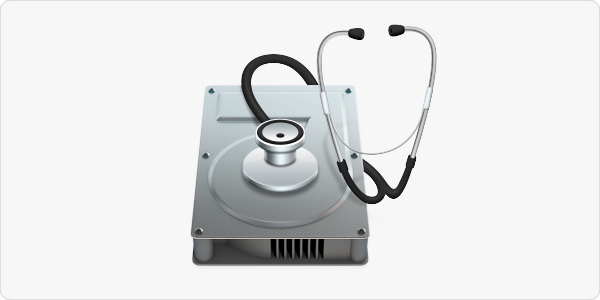 When it comes to checking the overall health of a hard drive, there are two utilities I recommend: DriveDx and S.M.A.R.T. Utility. These utilities will both look at and interpret the S.M.A.R.T. data of a drive and tell you if it's in good shape or not, and they do an excellent job of it. It's important to keep in mind that interpreting S.M.A.R.T. data is a game based on experience and guess work as that data is merely an indicator. A drive that's OK today may still crash completely tomorrow, but a good interpretation of the S.M.A.R.T. data can more often than not mean the difference between saving your data and losing it. You can use these utilities once in a while or let them keep an eye on your hard drives every few hours automatically—this way you get a notification the moment a new issue is detected. If you're in the market for a new hard drive and want to know which brands/models to buy and which ones to avoid, take some time to browse the Backblaze quarterly drive stats. I use these lists as a guide when I buy new hard drives and *knock on wood* so far it has paid off. I haven't had a hard drive fail in years. Of course, there are no guarantees, but I'd like to think buying a drive that does well in a harsh environment will also do well for me. Rember: A small utility that gives you just a few controls. Rember is a graphical representation of the command line utility memtest and will give your RAM a proper workout with several different algorithms. If an issue is present, Rember will likely find it. Depending on the amount of RAM you have and the speed of that RAM, Rember can take a very long time to run and if you've told it to test all the available RAM it can get its hands on, your Mac will be pretty much unusable for the duration of the tests. memtest86: This test is based on Rember, but includes more options. To run this test, a bootable flash drive or CD must be created, and once booted from that source no slick user interface will be found. The interface you will get is text-based, ugly and a little intimidating, but this test is extremely powerful, so it's worth running anyway. By booting from this external volume, little to no RAM is used, which means pretty much all of it is available for testing. memtest86 will put your RAM to work like probably nothing else ever will, and if your RAM survives a few rounds of memtest... there is no issue there. With a range of algorithms, including one lovingly called the Hammer Test, memtest86 is the best possible option for RAM testing out there. Your CPU works, among other things, hand in hand with your RAM. While you were testing your RAM, your CPU also got a bit of a workout, but there are utilities specifically designed to give your processor a good beating to see if it is performing as it should. By design, benchmark utilities include a range of algorithms to test the performance of a CPU. Also, the resulting benchmark score can be an indication your hardware is not performing as it should. Geekbench is likely the most well known computer benchmark utility out there. Geekbench gives your CPU a good amount of data to crunch. Various algorithms test your CPU in different ways and the final score—which you can compare to other Macs with same or similar specs—tells you if it crunched all that data in the expected time frame. These tests are short and only half of them really task the CPU 100%, so you'd have to sit there and restart the test as soon as it finished for an hour to get an idea of how the performance handles a semi-continuous workload. This is where your CPU is really pushed to its limit. The right stress tests put your CPU to work in ways that real world usage probably never will. After all, we don't want a real world workload, we want the absolute max it can take to see if it fails. Prime95 is the ultimate CPU stress test. This works your CPU in different ways and also taxes the caches, communications with the RAM, the RAM itself, and more. Prime95 was created to help find new Mersenne prime numbers, but so many people started using it to stress test their CPU's that the app's creators built a dedicated stress test into the app. Called the "Torture Test," it certainly lives up to its name and taxes your CPU and subsystems to its maximum capabilities. Running the Torture Test for several hours (8-10 hours recommended by the communities) will prove, without a doubt, your CPU is either a number crunching monster with an endless appetite or ready for recycling heaven. If you really want to know if your GPU is up for long gaming, video editing or even bitcoin mining sessions, you must hit it with a sizable workload for an extended time. There's really only one application that comes to mind for this: Heaven. 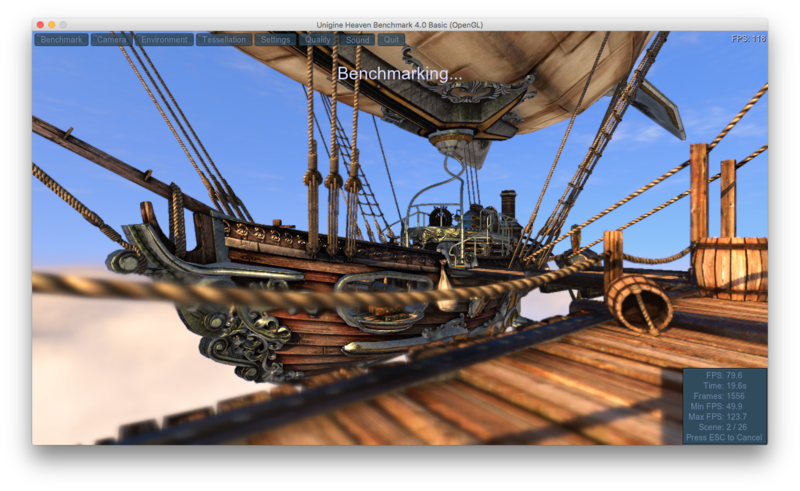 While technically a benchmark, Heaven's settings can be configured in a way that puts maximum pressure on the GPU. The "basic" and "extreme" presets can be used, but a "custom" option is also available that really lets you go all out. The test will render game scenes at the quality and resolution you set; a higher quality and resolution will mean more work for your GPU and thus a better stress test. You will have to re-start the test when it finishes to get a few loops out of it (the free version), but at insanely high settings your GPU will probably take a long time to finish a single run anyway. One of the most difficult things to test at home are the various sensors inside your Mac. There are utilities that can read out and test these sensors, but only Apple (and their Diagnostics) really know what the correct value ranges are and if a sensor passes or fails a test. If you run the Apple Diagnostics, all of the sensors in your Mac should be tested. And if no issues are mentioned, you can assume all sensor tests have passed. However, if you'd like to take a closer look at the sensors to make sure their measurements are what you want them to be, or just to satisfy your curiosity, there are a few options available. Temperature sensors: There are quite a few temperature sensors in your Mac and the failing of just a single one can cause your Mac to run incredibly slow and/or the fans to always be on 100%. Readings that are too hot may also indicate an issue with the fan(s) or heatsinks but more on that later. Voltage sensors: As the name implies, these are all the sensors that register Volts. Current sensors: These would be all the sensors that register Amps. Power sensors: These are the sensors that register Watts. Light sensors: And finally these are the sensors that register light. A lot of sensors take multiple readings, so a sensor that reads the power your hard drive takes can do Volts, Amps and Watts; however, they are listed as separate sensors. A lot of continuous checking is going on inside your Mac to make sure all these readings are what they should be, and while you typically never need to know these readings, they can help you verify your Mac's hardware is working properly. The one application that can read out all these sensors is TechTool Pro. It is a pretty comprehensive system test suite that includes sensor testing. Ports: Yup, your USB, FireWire, headphone jack, etc. Just connect devices to all your ports to see if they still work. Optical drives: Not nearly as extinct as Apple would like you to believe, a lot of Mac users still have them in their older machines or use them externally. To verify if all the features of your optical drive still work, there is really only one way to find out: Use them all. If an optical drive is able to read a CD, DVD or Blu ray, it does not mean it's able to burn one. Depending on your drive's features, burn one of each supported medium. If your optical drive can burn a DVD, it's a safe assumption it can handle dual-layer and RW as well, so simply test with a CD, a DVD and a Blu ray and you should be all set. Keyboard: This one us more for the laptop users, but can apply to any keyboard. Testing the keyboard can be as simple as opening up a TextEdit file and testing every letter, but if you want to know if other keys register properly when pressed, you can use a handy macOS built-in tool, called the Keyboard Viewer. To enable it, go to System Preferences > Keyboard and check the box next to "Show keyboard and emoji viewers in menu bar." Now, from the menu bar, pull up the Keyboard Viewer. When you're done testing, go back to System Preferences > Keyboard and uncheck the checkbox next to "Show keyboard and emoji viewers in menu bar." If there is an issue with your mouse or trackpad, you will find out during normal use, so I won't suggest any tests for those. The same goes for the hinges of your laptop screen. What about a Mac's cooling system? The one thing I have not covered in this article is your Mac's cooling system. If your Mac survived all of the above stress tests without suddenly shutting down or bursting into flames, it's safe to say your cooling system is good to go. However, there is a big difference in keeping a system cool enough (to keep it from overheating) and keeping it cool enough to make it last. The cooling system is more than just the fan(s), it also involves heatsinks, thermal paste, thermal pads and airflow. (Perhaps this will be a topic for another article later down the road.) For now, to keep your Mac running nice and cool, open it up and clean out the dust. Take the proper ESD precautions and go as far as you're comfortable with taking your Mac apart. Mac Pro users are probably not new to this, but most laptop users likely will be. For laptops, it's typically enough to remove the bottom cover and carefully blow out the dust from the boards, fan(s) and heatsinks. More airflow results in a cooler Mac. Knowing your Mac can handle even the hardest work is a good feeling. There are so many people out there using just a fraction of their Mac's power for fear they might crash it or it runs too hot. Your Mac is not a delicate flower, it's a powerful number cruncher and even if you only use it to check Facebook or work on a Pages document, it's nice to know it can handle an afternoon of RAW photo editing or a Final Cut Pro montage of your niece's graduation when needed. Most of you will probably agree that you'd rather have the power and not need it, than need it and not have the power. Have something to say about this story? 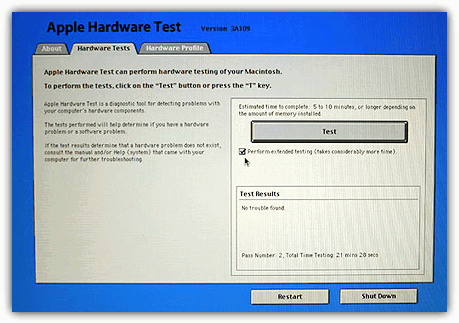 Did you run all these hardware tests on your Mac? It's Ok to boast, let us know how your Mac performed in the comments below! 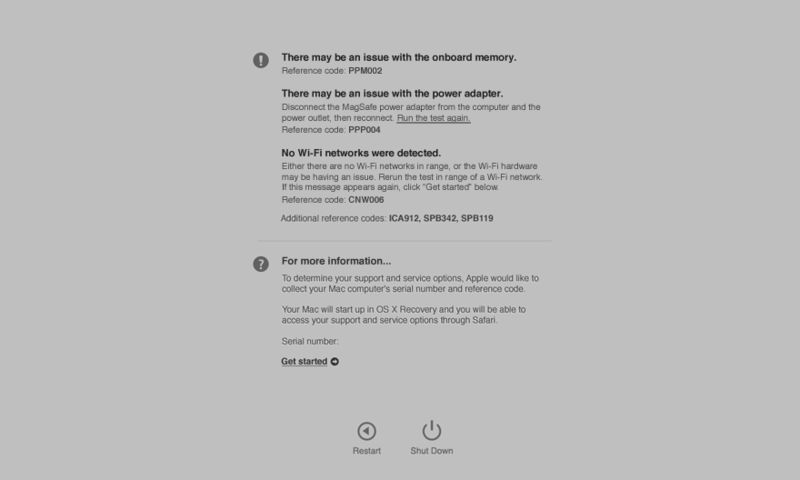 This entry was posted in Apple, How To, Recommended and tagged Apple Diagnostics, Graphics, Hard Drive, Hardware, Mac, Memory, Processor, Sensors. Bookmark the permalink.